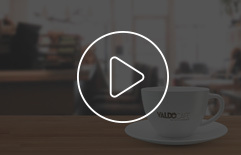 In our product portfolio fully automatic, table-top designs can be found. 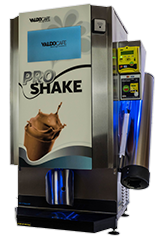 Our table-tops successfully combine the quality of professional machines with the selection of vending machines. 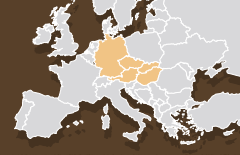 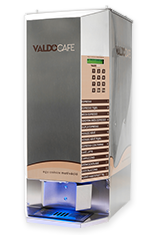 The placement of our coffee and cold beverage vending machines is primarily recommended to such places, where there is high transit traffic, there is a need for fast service and consistent quality – for example snack bars, grocery stores, bakeries, hotel breakfasting, self-service restaurants, eating houses, fitness rooms, tobacco shops, customer lounges, businesses, offices and other work collectives. 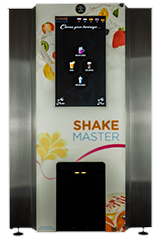 they are machines with 2-6 tanks – the selection of drinks, accordingly, can be minimum 3, maximum 14. 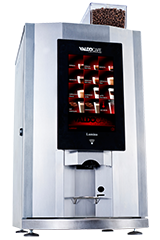 Comfort, hygiene, speed, - these are the main criteria of instant coffee beverage dispensing machines. 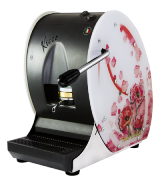 The typical coffee flavour with the prestige value and the spreading of aroma can be ensured by coffee machines making freshly ground and brewed coffee. 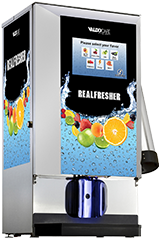 Our cold drink vending machines are machines with post-mix system, which prepare (using a beverage concentrate as a base) the frozen drinks in a closed system, then serve them for a touch of a button. 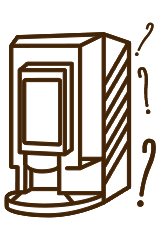 The call to life of the product is given by the health consciousness coming to the fore, the accelerated lifestyle, and the demand for modern technology. 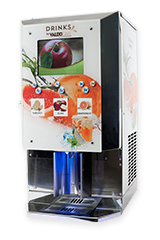 Our machines suitable for making cold smoothies are also popular not only among children.